Simon is a unique and highly respected compensation advocate with twenty years of experience in the Western Australian workers’ compensation system. Simon’s experience spans all aspects of the contested claims process from an initial claim through conciliation and arbitration and the appeal stages of any contested claim. Today, Simon plays a linchpin role in the Civic Legal Insurance team. Simon has extensive experience conducting contested business at the Conciliation and Review Directorate, Conciliation & Arbitration Service, Compensation Commissioners Court, Industrial Magistrates Court, Industrial Relations Commission, Town Planning Tribunal, Compensation Magistrates Court and the District Court of WA. 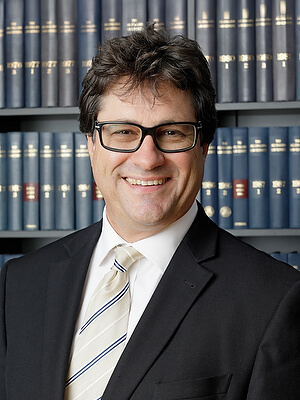 Simon has also assisted counsel in the Full Court of Western Australia and High Court of Australia.